Once you are approved and have received your account information, you can begin enjoying all the benefits of your Abercrombie & Fitch credit card account. No interest charges apply when the entire account balance is paid in full before the end of billing cycle. The Abercrombie & Fitch credit card is accepted for all of your purchases online, from the A&F Catalog, and in stores. 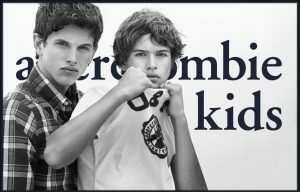 Abercrombie & Fitch has gained popularity for today’s youth. It’s rated one of the most popular stores worldwide. They have the latest fashion trends available. From polos, fleece, jeans, swimwear and so much more. View their sale clearance offers. 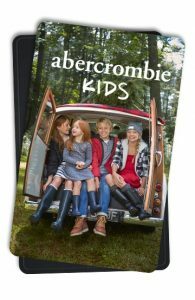 Gift Cards are available in denominations from $25 – $200 and may be redeemed in the US and Canada at the Abercrombie Kids and Abercrombie & Fitch websites or store locations. Standard shipping for Gift Cards within the US is on abercrombie kids.